Roland’s South Pasadena Driving Instructors are DMV-Certified and our South Pasadena Driving School offers driving lessons to teenagers, adults, and seniors. We help teens obtain their driving license by teaching them road awareness and good decision-making. Roland’s South Pasadena Driving School also offers training to drivers of any age and level of experience who are looking to polish their behind the wheel skills. Here at Roland’s Driving School in South Pasadena we give our drivers the knowledge and skills they require to obtain and maintain a driver’s license. With one of our South Pasadena Drivers Training Classes we’ll teach you good defensive driving skill strategies to maintain safe driving practices. We give teen drivers the confidence they need to operate a vehicle safely. We also help with the renewal or reissue of a driver’s license. Roland’s South Pasadena Driving School has designed a driver’s training program for teens, seniors and new drivers. Our South Pasadena Driving Instructors teach students the importance of being defensive, safe, responsible, courteous, and most importantly how to handle dangerous situations. 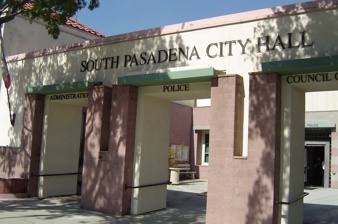 With one of our special South Pasadena Drivers Education Programs we can assure you a Behind the Wheel Certificate. At Roland’s South Pasadena Driving School you’ll get a South Pasadena Driving Teacher who is both knowledgeable and passionate. With over 20 years experience Roland’s South Pasadena Driving Lessons has developed a unique strategy and coaching approach incorporating plenty of real life simulations that are designed to boost you or your teen’s confidence.